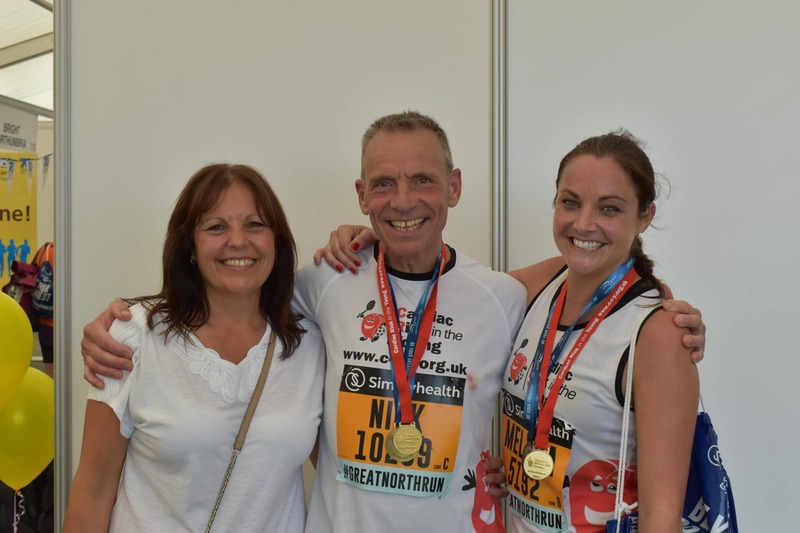 Congratulations and a huge thank you to the 50 runners who took part in the Simplyhealth Great North Run for CRY on Sunday 9th September 2018. It was once again a lively event, living up to its billing as the world’s biggest half marathon. There were plenty of people out to show their support and to help the runners along their way and the whole community got involved. It was a warm, sunny day, encouraging even more friends and family turning out to cheer on their loved ones. Of the CRY team, Jody Barford was the first runner to finish in a fantastic time of 01:31:25. 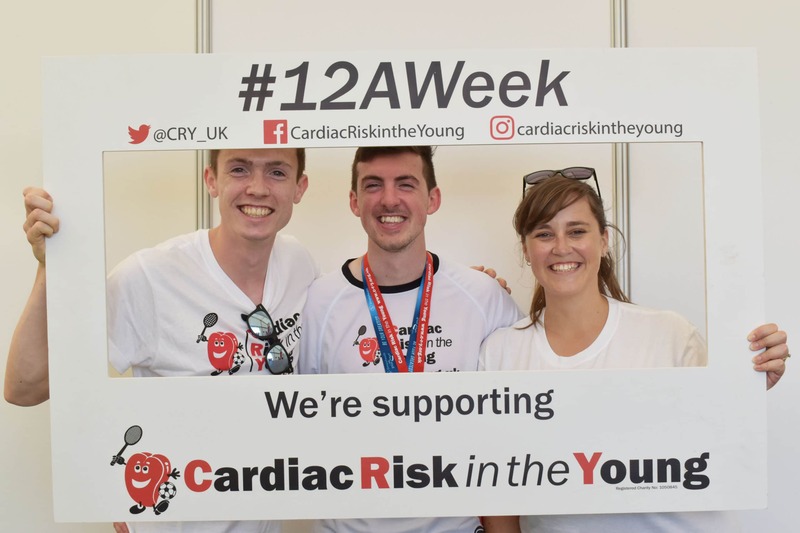 It was lovely to meet and congratulate Jody and the 33 other CRY runners who came to visit us at the charity marquee and hand them a CRY medal along with some refreshments. 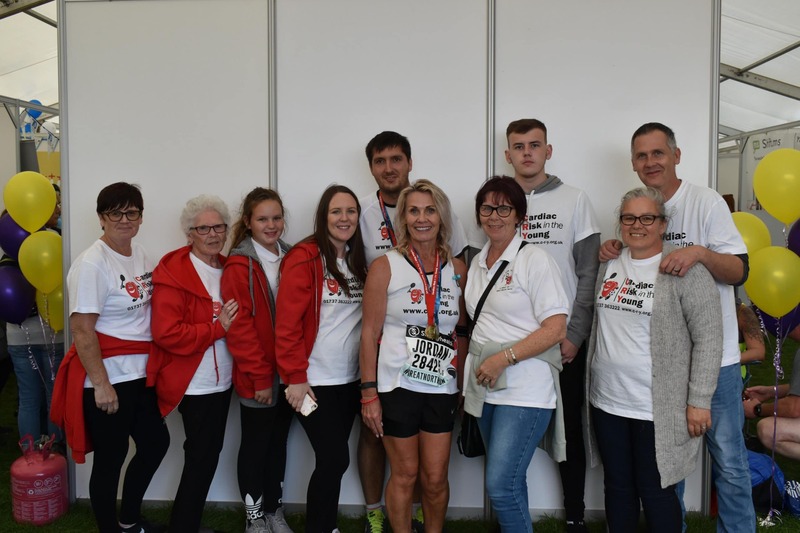 We would also like to thank all of the supporters who came along to cheer on all of the CRY runners, giving them the encouragement needed to keep going and finish this difficult challenge. 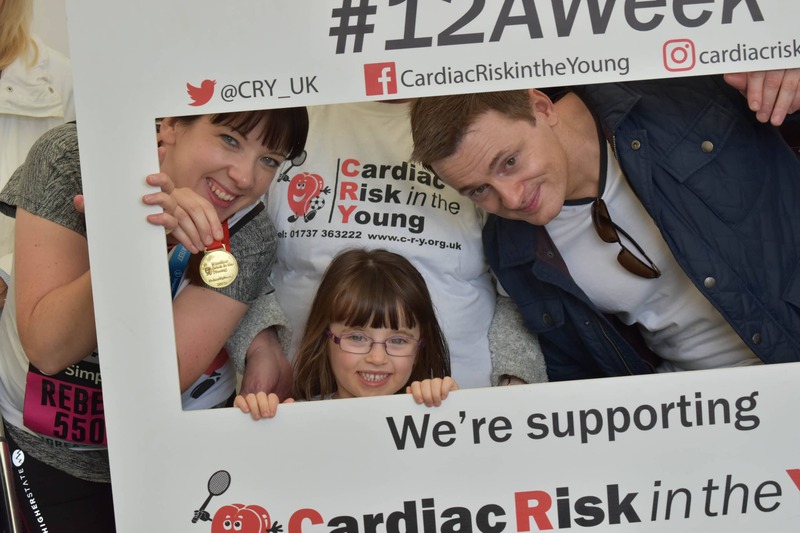 We look forward to welcoming new CRY runners to the Great North Run team next year, and hopefully seeing some of this year’s #charityheroes again! 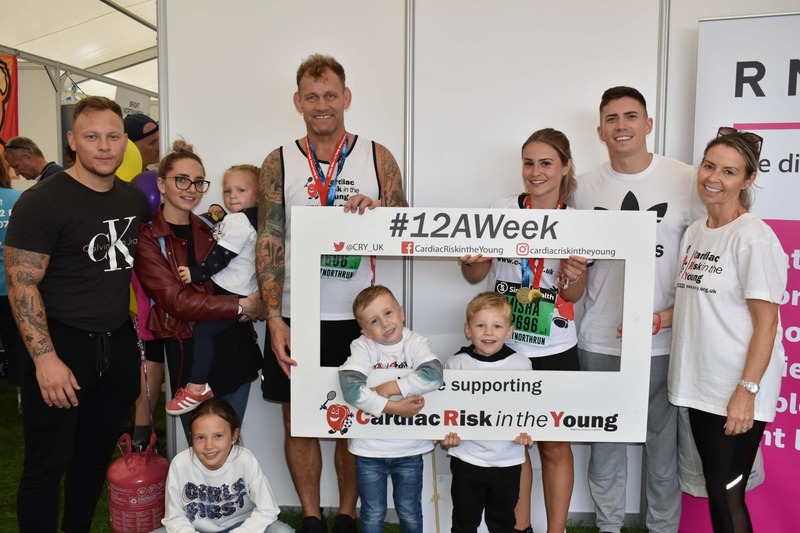 If you would like to run for CRY in the 2019 Great North Run on Sunday 8th September 2019, please email your interest to events@c-r-y.org.uk. 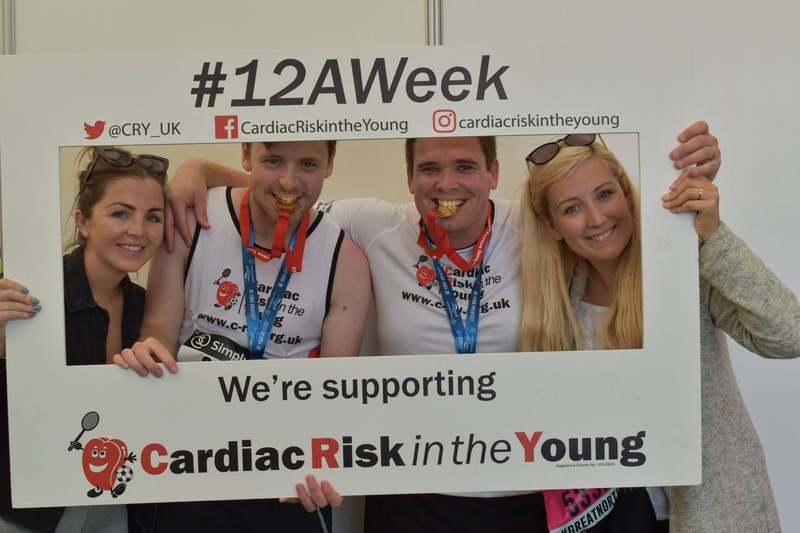 Annie Ledingham, Reece Hill (in memory of Paul McCann), Will Clydesdale (in memory of Nathan Butler), Alison Edwards (in memory of Andrew Murch), Wayne Corcoran (in memory of Lloyd Walsh), Bethany Bradbury (in memory of Amy Evans), John Pickering, Jane Llewellyn, Misha and Alan Brown (in memory of Michael Yendall), Jody Barford (in memory of Linda Barford), Eileen Masterman (in memory of Nigel Masterman), Amit Singh (in memory of George Morgan), Rebecca Kelly (in memory of James Campbell), Alice Horne (in memory of Tom Clabburn), Matthew Lynn (in memory of Charlie Craig), Emma Stubbs (in memory of Craig Salmon), Stephen Harrison (in memory of Graham Harrison), Vicky Frankland, Janos Geering (in memory of Don Geering), Rachel McLeman, Joanne Darby (Neil Darby), Melissa and Nick Loan (in memory of Stevie Jivani & Rob Allen), Chelsea Lee (in memory of Jamal Bouzid), Katie Bell (in memory of Stephen Donovan), Linda Ternent (in memory of Graeme Bell), Rob Palmer (in memory of Graham Harrison), Hayley Anderson, Nick Whitbread, Robyn Turnbull (in memory of Jamie Loncaster), Lesley Nicholas (in memory of James Nicholas), Frances Mihailovic, Daniel Hadnum (in memory of Sophia Forrester), Lucy Greenwood (in memory of Sophia Forrester), Matthew Rudge (in memory of Robert Daniel Smith), Thomas Wilson (in memory of Graham Harrison), Daniel Wilson (in memory of Fiona Russell), Charlotte Harper, Nick Vincent (in memory of Ben Hammond), Ryan Mason (in memory of Jenny Kerwood), Mark Smith, Martin Picker (in memory of Madeline Siddall), Robert Bass (in memory of Kevin Paterson), Paul Klitzke (in memory of Nicola Klitzke) and Kelly Gleadow (in memory of Graeme Bell). To see a full selection of photos from the day please visit our Flickr page.